Hiring a professional painting contractor for your home in Omaha, Nebraska can save you a lot of time and effort. Residential painting is a major undertaking that an average DIY cannot easily pull off. If it’s been a while since you repainted your home, or you have a particularly large multi-story home, hiring a painting contractor will save you both time and the effort. While all professional painting contractors are worth giving a try, there’re some advantages that come with hiring local painting contractors for your residential painting needs. In this article, we just wanted to quickly share a few of the benefits. Local house painters in Omaha, Nebraska, for instance, have a reason to protect their painting reputation. They have specialized in working in the area and understand that word can get around pretty first –both for bad and good reasons. Since word of mouth is most likely their primary mode of advertisement, they need to please their customers in the immediate area. National painting franchises, on the other hand, provide their painting services to a huge area, and they don’t have to worry much about what locals think about them or their services. Many times, their painting services are kind of ‘mass produced’ with little ties to the community. When hiring a painting contractor, one of the most important things you will want to look for is their previous projects. When considering hiring a local painting contractor, chances are they have already completed a number of projects in your neighborhood or the immediate region. This makes it easy to see the homes or businesses they have already painted and even talk to the owners about their experience with the painter. On the other hand, national chains may or may not have completed some work in your region. This denies you the unique ability to assess samples of their work or even know how it feels like to work with that particular company. Hiring local painters is an indirect way of boosting the local economy in your region. Local painting contractors are likely to purchase supplies, tools, and equipment they need from local businesses. Indirectly, this boosts your local economy. Additionally, local painters are more likely to be involved in organizations and projects that are important to the community. Some offer charity painting services to locals through ‘Paint it forward’ programs. National chains, on the other hand, are least likely to purchase their supplies from local businesses. Additionally, they’re probably never going to involve themselves in courses that directly benefit the community. 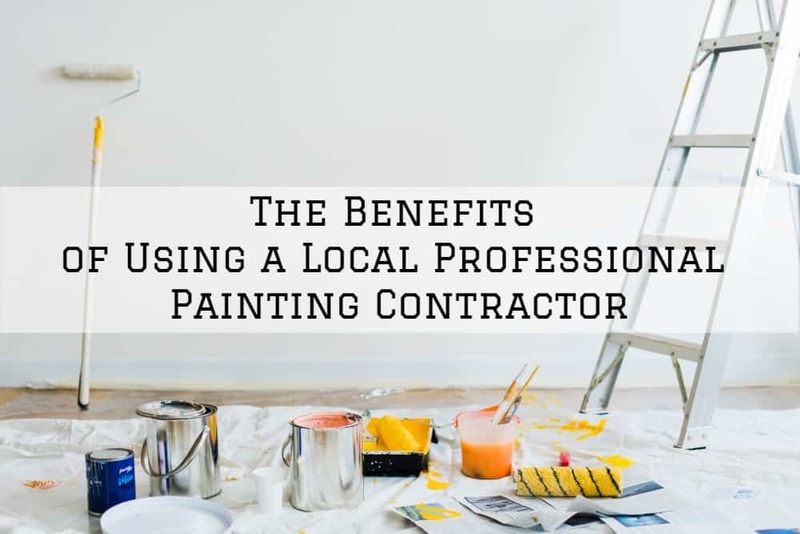 This is a quite obvious benefit – as long as you’ve chosen the right local painting contractor. Painting contractors have the skill, experience, and tools to complete your work professionally and timely, however big or complex it might seem. Working with local painters is particularly easy and time-saving –they can be able to come for an estimate within the same day of request and will be at your job site on time every single day because they’re probably based in your immediate region. Working with professional painting contractors that have an established reputation in your region offers peace of mind. Checking their references is easy and given that they’re involved in your community, you can be assured your dollar will be well spent. 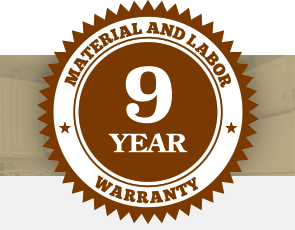 That being said, not every local painting contractor qualifies to be reputable and reliable. You still need to take some time and go through the available options and offered estimates to see who meets your residential painting needs. Alternatively, if you’re looking for interior painting or cabinet refinishing services in Omaha, Nebraska, you can skip all that hassle and simply choose Brush and Roll Painting Company. We have a long list of happy clients in Omaha and its environs, and we pride ourselves in durable, reliable, and consistent painting services. Simply book an estimate below or give us a call for more information.